The former home of Al Lopez, Tampa’s first Major League Baseball player and first hall-of-famer, is being relocated in historic Ybor City, and will become the Tampa Baseball Museum. 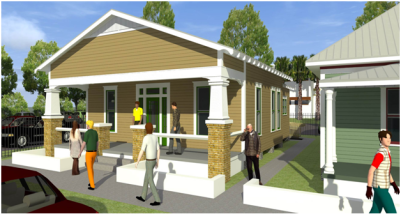 The museum, slated to open in Spring 2014 and being developed by the Ybor City Museum Society, will feature rotating and permanent exhibits celebrating the importance of baseball in the community. Exhibits will cover over 125 years of Tampa’s baseball heritage, including African American and Latino cultures and the pivotal role they played in the development of both the city and the game of baseball. Visit Tampa Baseball Museum on Facebook for progress updates and more photos.